After taking a short break from the live press conference the first thing I notice is that there was NO Short Films selection announcement! Last year the shorts were announced one day before the press conference but this year wonder when as what follows is Quinzaine, Semaine and ACID selections announcement next week. Strange. Before going into the list let's share what we already know. 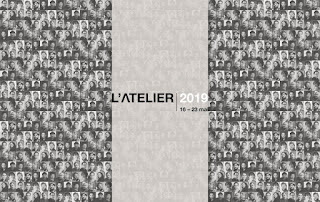 There is a lovely Cannes 2019 poster, Alejandro González Iñárritu is the competition jury president, Nadine Labaki is the Un Certain Regard jury President, Alain Delon will accept an honorary Palme d'O, Claire Denis is the Short Films and Cinéfondation jury President and the opening film is by Jim Jarmusch with a film that many, including me, bet will go to Midnight Screenings (!!!) but instead not only opens the festival but also is in competition. Also today we learned that Virginie Ledoyen is the Queer Palm jury president. 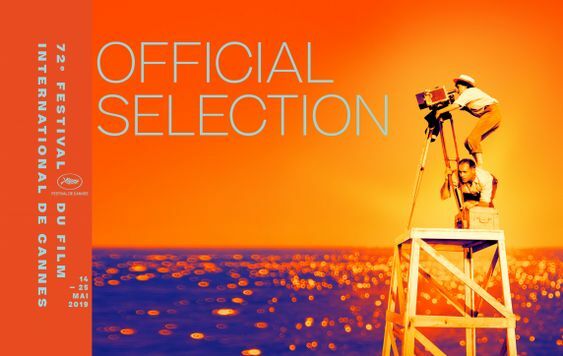 In about 30 minutes the much-awaited Festival de Cannes press conference will take place and finally all gossip/buzz will be put to sleep when the Official Selection lineup becomes known. There are many great films that hope will make it to the competition as will give the festival the glitz that much needs after last year's Biennale stole much of it by allowing ALL films to compete and giving top award to a film that highly deserved to be seen by the whole world and not only a few cinephiles. Sigh. A few days back organizers announced that none other than Mira Nair will be the patron of the 2019 edition. The following is what she said. I was at Cannes for the world premiere of my film Salaam Bombay! [in 1988] - we won the Audience Award and the Golden Camera Award. I remember so many things about that film, but most of all that it was a life-and-death situation. It was almost impossible to make; we had no money. We would shoot all day and for every shot, we would have at least a thousand people watching the shoot. I would come home tired, to my flat, which I shared with several cast and crew members who also didn’t have a place to go at night. It was like a railway station. I would be up all night, on the phone with financiers and producers trying to raise money, sometimes for the next day of shooting. 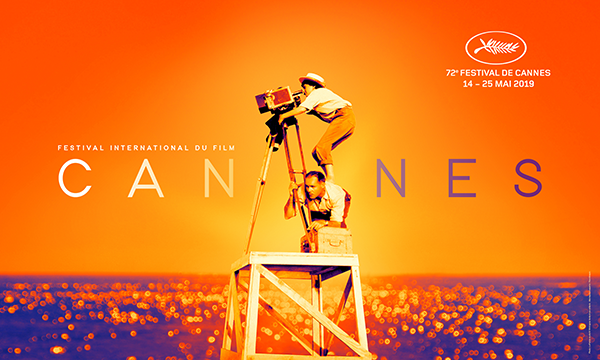 Festival official poster has been unveiled and contrary to insistent rumors it has NOT Alain Delon in photo but none other than outstanding director Agnès Varda when she was 26-years-old in a behind the scenes photo from La Pointe Courte. Below it's the original photo that generated a fabulous composition for the poster with hot colors in the background. My only problem with poster is the division of CAN and NES, which is a big No-No in branding. 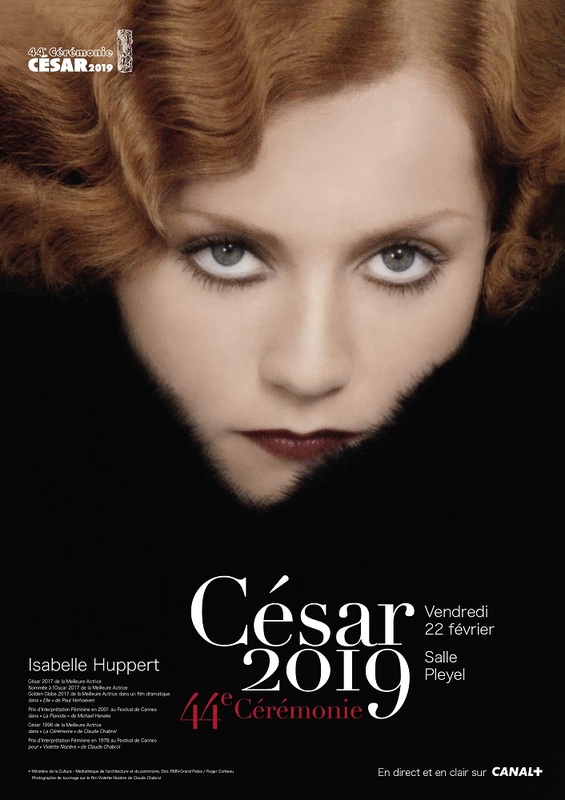 Anyway, montage and design was done Fore Maquin, signatures created by Philippe Savoir (Filifox), and photo owner is Agnès Varda and her children. The official graphic design presentation has the following rationale. This year I'll start my Wish List with films by female directors as in the buzz list there is an unusual number of them plus most films I'm truly interested in watching (with few exceptions) are made by them. 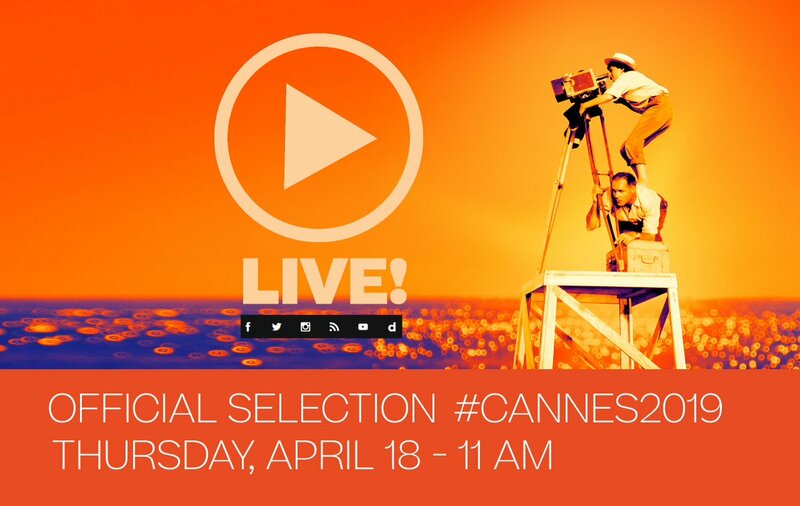 Still no official news about selections announcements but there is some speculation: Press Conference Official Selection on April 18, Semaine on April 22 and Quizaine on April 23. The only official announcement came yesterday with ACID selection on April 23, date is already in calendar. The closing date for submitting films was last Monday, March 11th so now the decision process has begun in full. 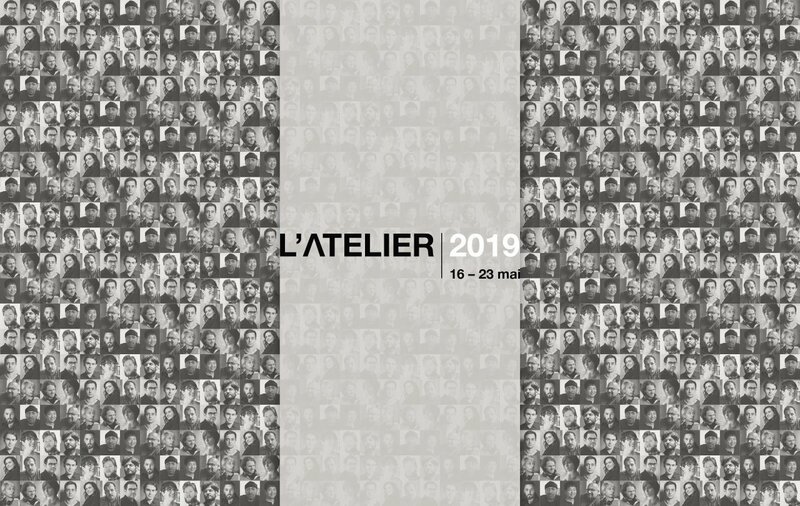 A few days back came the announcement of the fifteenth edition of the Atelier with 15 directors invited to attend the Festival de Cannes. Together with their producers, they will be able to meet potential partners, a necessary step to finish their project and start the making of their film. 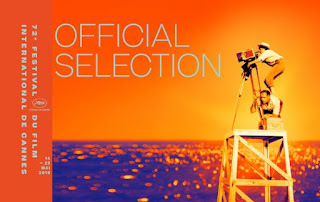 The filmmakers are selected according to the quality of their project and that of their previous films, as well as on the state of progress of their finance plan. The program will enable them to gain access to international financing and speed up the production process. As happens every single year, Cannes buzz starts during the Berlinale and gets louder when Berlinale ends. But this year there are good news, buzz seems to be a lot more intersting than last year as there are some strong filmmakers with movies ready to be screen in competition, out of competition, any other fest section or parallel section. Then we have to consider that after 2018 fiasco, smaller changes could make fest a lot more interesting and well, better. No one will forget that thanks to French movie theaters owners, Netflix was banned and Roma was not accepted. So, Roma went to La Biennale only to win the Golden Lion and the rest is history. Much buzz (or is just plain gossip?) is going around about the discussions between festival organizers and Netflix but know problem is not Thierry Fremaux, who almost lost his job in 2017 due to this issue; problem is with the board of directors where there are a few movie theaters owners. Soon we will see the end to current year discussions and hopefully, Neflix films are included in competition and elsewhere or the 2018 story will repeat and films will again end-up in Venice to their truly delight. Updating blog, this is the last post that needed update with winners. The American awards season is over and boy, I'm truly glad is over as this edition was like a very unpleasant roller coaster ride with so many ups and downs that were hard to sustain and well, to accept. Sight. So, there is no surprise when we saw the awards season closing with a top winner that will go to the must-forget cinema history annals; still, if one person from Oscars top winning film should be acknowledge was Octavia Spencer, who -of course- was not acknowledged at all. Yes, talking about Green Book. But top individual award winner became Alfonso Cuarón by winning two top awards, Best Director and Best Cinematography plus his film winning Best Foreign Language Film. 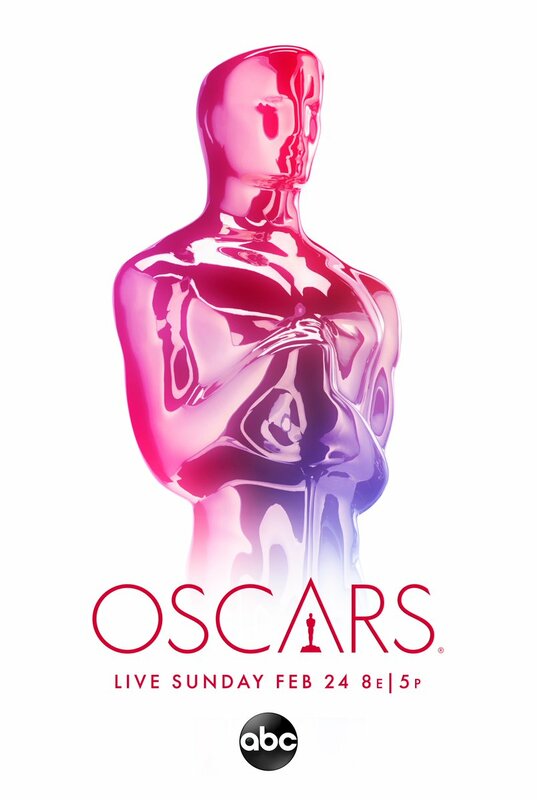 Believe that what really upset many of those I follow on Social Media was the awful fact that there were too-many relevant Academy honors to two films that portrayed homosexuality in a non-flattering and what seemed (or is) non-realistic way (Green Book and Bohemian Rapsody). Yes, I tend to agree. If you don't agree let me point to The Favourite where the Queen of England was sleeping with not one but two women and gee, the film, the performances and the story were so magnificent that film "gayness" was not relevant at all thus making something "so-lesbian" into a stupendous "fact of life", "power struggle" or just a "capricious moment" (lol). Comprehend the difference? The Favourite by Yorgos Lanthimos was the big winner of the night with a record 10 wins, including best film, best director, best actress and supporting actress, best screenplay and more; Roma wins best international film. 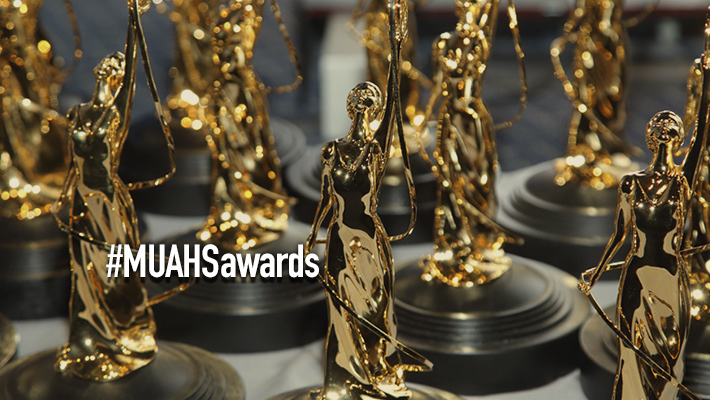 The Richard Harris Award for Outstanding Contribution by an Actor to British Film went to none other than Judi Dench, The Variety Award to Felicity Jones, and the Special Jury Prize to Horace Ove. To check winners at official site go here. Winners are in *BLUE. Updating blog. The indie awards one day before the Oscars gave honors to many films, spreading the wealth all over. Still, If Beale Street Could Talk by Barry Jenkins became the top winner by winning three awards. The 2019 Film Independent Spirit Award nominees were announced last Friday's morning at the W Hotel in Hollywood, presented by Gemma Chan and Molly Shannon and featuring yet another diverse group of talented creators with a shared belief in the power and promise of independent storytelling. Updating blog. 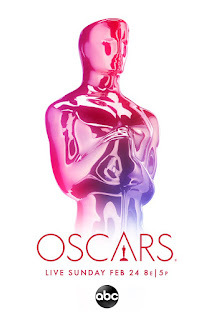 To watch complete awards ceremony, just two-hours long, go down to post end. Perhaps was only me but 2018 was a below average production quality for French Cinema as there were not great movies and much less, great directors. The only director worth-watching did an English-language film and well, got enough honors by Paris based foreign press. Yes, talking about The Sisters Brothers by Jacques Audiard. 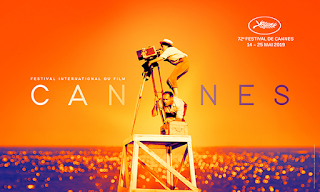 Yesterday the foreign press based in Paris announced the nominations for the 2019 edition of the Lumières Awards which honors French and Francophone films since 1995 when Daniel Toscan du Plantier and Edward Behr created the award. 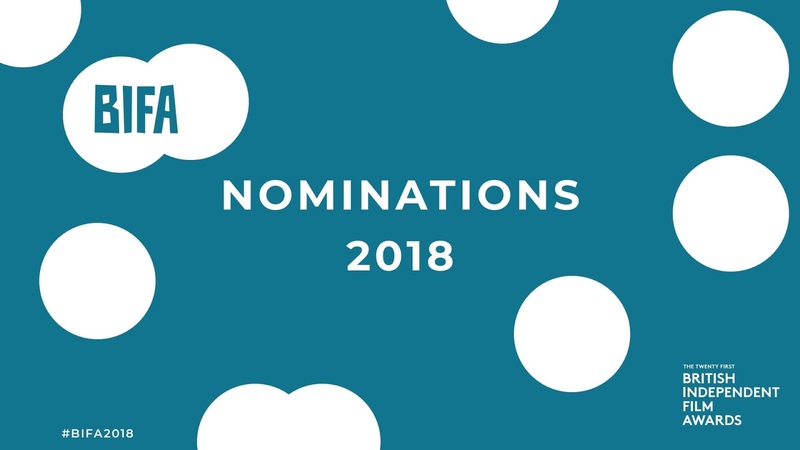 More than 130 films were screened in France during 2018 and 37 gained a nomination; now eighty (80) Lumières Academy members -representing 30+ countries- will vote to define the winner in each category. Very-lucky Academy members have access to a videotheque created jointly with Cinando and Le Marche du Film de Cannes where all films became available to them; the platform received more than 1,145 (double from last year) visits during the pre-selection stage. Today, March 3, I'm updating blog. Big winner of the night, Roma by Alfonso Cuarón with four TOP awards; with more awards, seven, The Favourite. Very pleased with 2019 results. Shame Oscar behaved differently and wouldn't be willing to honor greatness. Sigh. To check winners at official site go here. Winners are below in *BLUE. 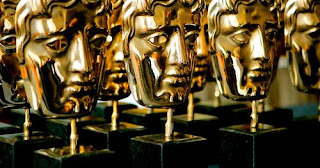 A few hours ago the British Academy of Film and Television Arts (BAFTA) announced the nominations for their current awards edition that honor films released during 2018 and this year the nominations almost look as I wish the Oscars will look as believe many of the honors are extremely well-deserved by the nominees. Great! 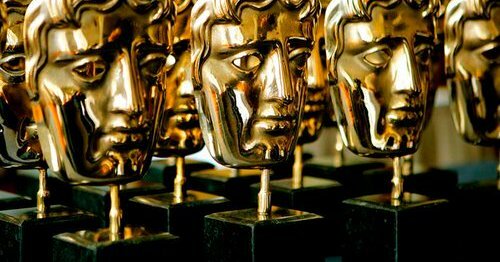 The nominations were announced by Hayley Squires and Will Poulter at BAFTA's London headquarters, 195 Piccadilly. Last night the French Academy had their award ceremony and was able to watch live the beginning, but soon enough couldn't keep my eyes open as show became really tedious. Nevertheless at the beginning there were a couple of moments where I laugh like crazy, which is good as do not particularly like French humor. The president of the 44th ceremony was none other than Kristin Scott Thomas, who opened the ceremony with a speech that felt to me like a reminder to all that she can do French cinema (and she's extraordinary in French cinema); so, let's hope someone heard the plea and gives her a movie ASAP as the quality of French movies need to improve fast. For me this year the quality of the honored movies was a tat below the average, sigh; then, there are a couple of good actor's performances but couldn't save the movies. Ah! yes, I love Jacques Audiard films, he's truly a master-filmmaker, but The Sisters Brothers is more American than French cinema, so it does not count for my perception. By-the-way having in one place Kristin Scott Thomas and César d'Honeur Robert Redford was like The Horse Whisper reunion with just Scarlett Johansson missing. Eddy de Pretto honored late Charles Aznavour, Cécile Cassel and Stéfi Celma honored late Michel Legrand, and Diane Kruger lead a tribute to honor late Chanel designer Karl Lagerfeld. Last Tuesday, February 19, the guild announced the award winners for the current edition of the annual prizes. Winners suggest The Favourite and Black Panther are the Oscars front runners as Crazy Rich Asians doesn't have an Academy nomination. When considering costumes in both movies, there is no doubt in my mind that Black Panther costumes grab a lot more the attention that those in The Favourite; but, there are some (mostly male) costumes in The Favourite that are truly work of art, so if any wins Oscar I'm okay with it. 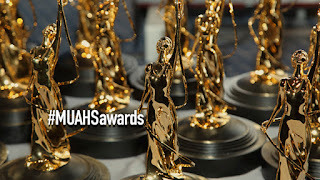 Glenn Close was honored with the Spotlight Award, Betty Pecha Madden with Distinguished Award, Ryan Murphy with Distinguished Collaborator Award, and Ruth E. Carter with Career Achievement Award. Last Saturday the guild had their awards ceremony where announced winners in 23 categories of film, television, commercials and live theater. Winners are in *BLUE. To check winners in all categories go to official site here.